At long last the vaunted Ivy League has a singer it can call its own ! Chip Fisher, known to his many friends as 'Chipper,' is a senior at Dartmouth College, where once Ele-azar Wheelock gave away five hundred gallons of New England rum to ap-pease the Indians. Chip went to Dartmouth from Darien High School in Darien, Con-necticut. Near the school, as in almost every American town, is the Sugar Bowl, a favorite meeting, eating and music place for all the Darien teen-agers, especially on Saturday after-noon aftcr a football game. 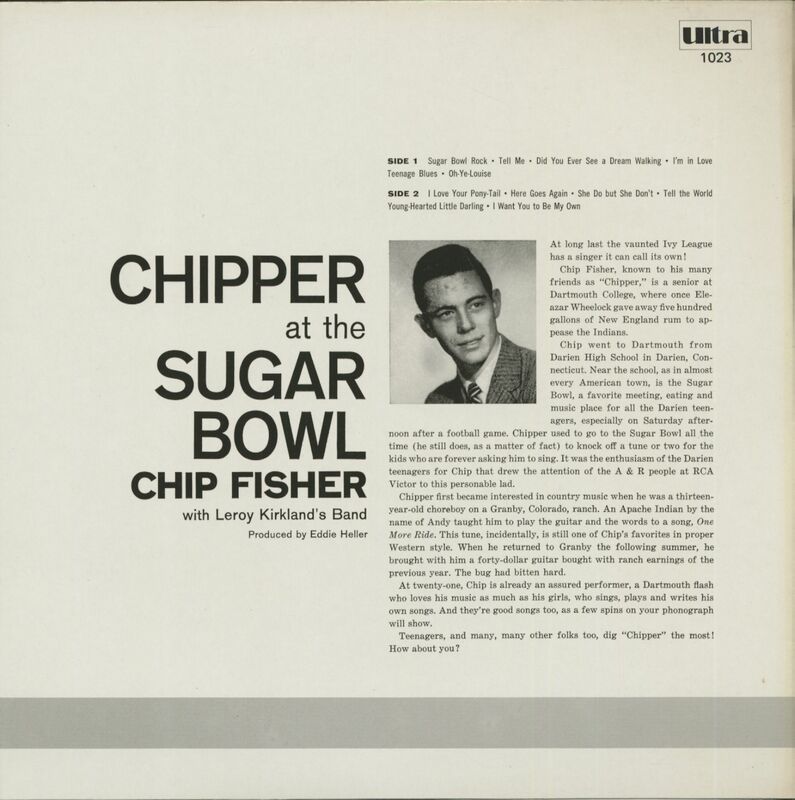 Chipper used to go to the Sugar Bowl all the time (he still does, as a matter of fact) to knock off a tune or two for the kids who are forever asking him to sing. It was the enthusiasm of the Darien teenagers for Chip that drew the attention of the A & R people to this personable lad. Chipper first became interested in country music when he was a thirteen-year-old choreboy on a Granby, Colorado, ranch. An Apache Indian by the name of Andy taught him to play the guitar and the words to a song, One More Ride. This tune, incidentally, is still one of Chip's favorites in proper Western style. When he returned to Granby the following summer, he brought with him a forty-dollar guitar bought with ranch earnings of the previous year. The bug had bitten hard. At twenty-one, Chip is already an assured performer, a Dartmouth flash who loves his music as much as his girls, who sings, plays and writes his own songs. And they're good songs too, as a few spins on your phonograph will show. Teenagers, and many, many other folks too, dig 'Chipper' the most! How about you? 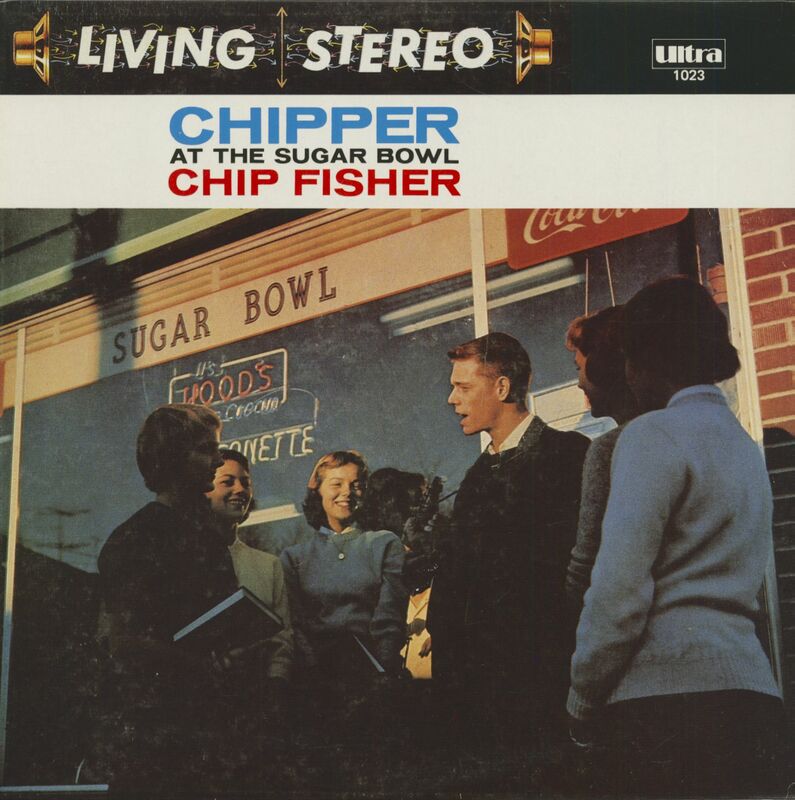 Customer evaluation for "Chipper At The Sugar Bowl - Stereo (LP)"